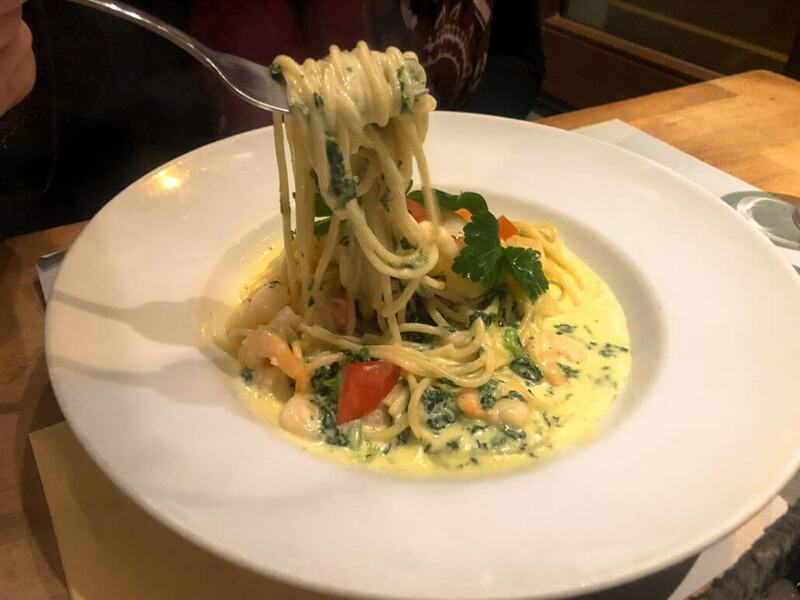 If you’ve got a lot to spend, finding excellent food is no trouble. But it’s a little more difficult when you’re on a tight budget. 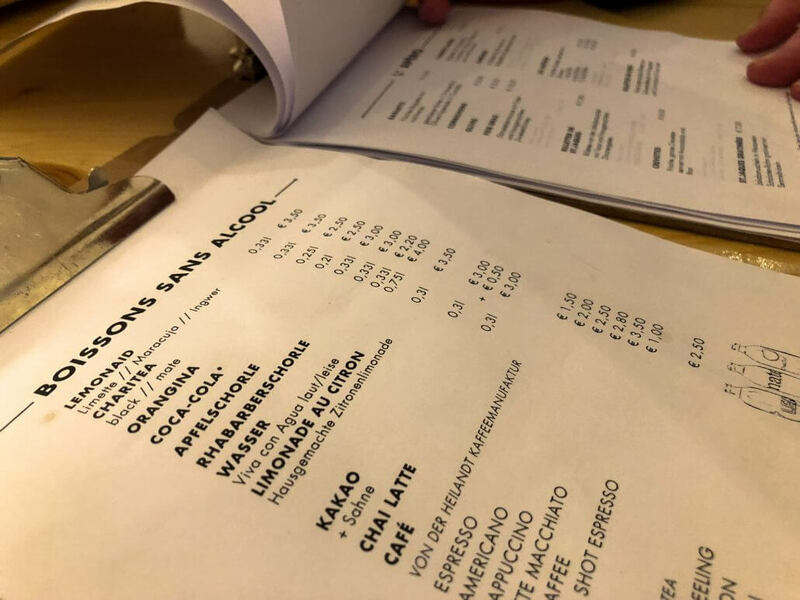 As an author of travel and restaurant guides, I particularly enjoy testing restaurants where I can get a superb meal for 20 euros or less. And Cologne has a fantastic range of places in this category. Here are five of my favourites. This is my absolute go-to eatery when I’m hungry and a backrest isn’t important. 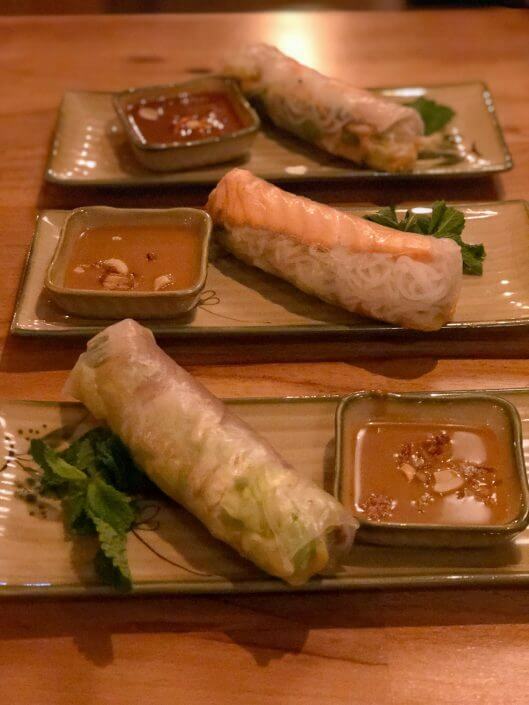 The standard menu is tiny but it includes some Vietnamese classics: the exquisite summer rolls, for instance, filled with fresh herbs, salmon and rice noodles and served with a spicy peanut sauce. Although the yellow curry with cashew nuts is always good, it’s better to choose something from the daily menu. You can never go wrong with pho soup. 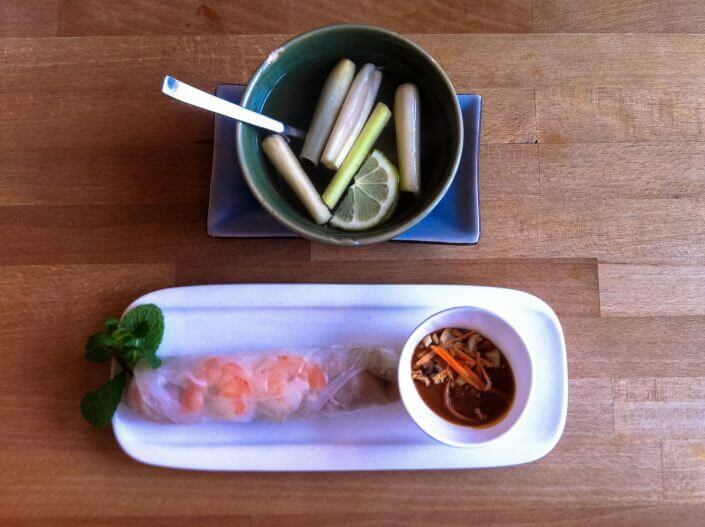 The Vietnamese even eat it for breakfast – and quite rightly too. With its strong broth base, this national dish sets the whole population up for the day. The vegetables with tofu and tamarind sauce and fragrant rice is also divine. And the house-made ginger and lemongrass tea is the ideal way to wash it down. A healthy, nutritious and mouth-watering meal for around 16 euros – always fresh and usually served quickly by the well-organised staff. French cuisine is expensive, n’est-ce pas? Well, not in the very west of the country at least, which is precisely where Délibon’s inspiration comes from. They started out with Breton street food and now cultivate this cuisine in a simply furnished restaurant on Sudermanplatz. 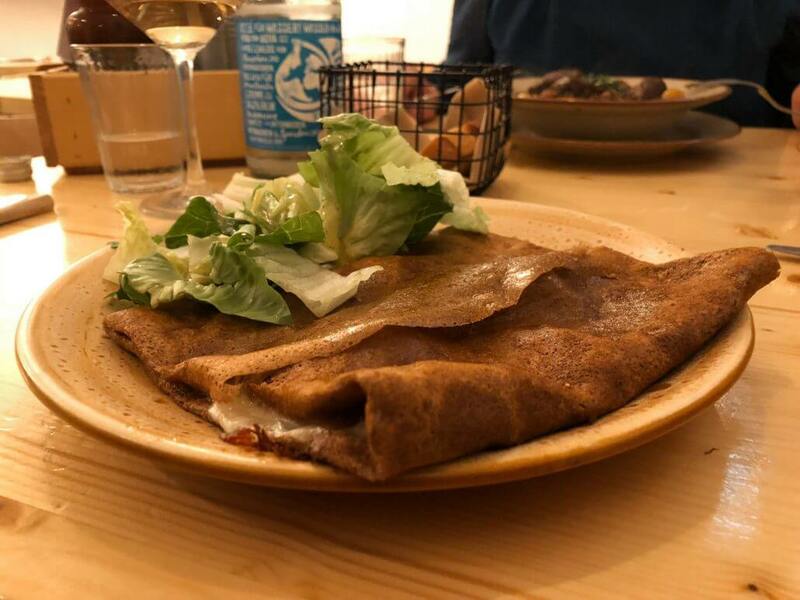 The speciality is, of course, galettes – savoury buckwheat pancakes that taste amazing with, for example, a filling of blue-vein cheese and pear. At 7.50 euros, they hardly make a dent in your purse, leaving enough money over for a portion of vintage sardines or rilettes for starters. Brittany isn’t a wine region but the tasty tipples from Tourraine (Loire Valley) are a great choice. 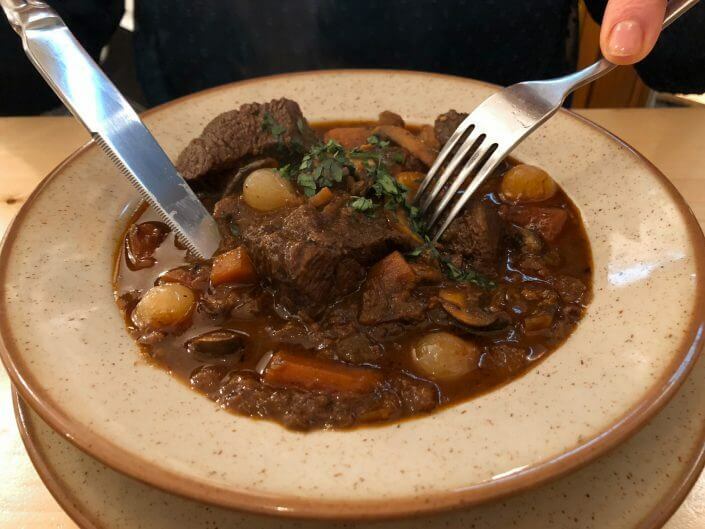 It’s a lovely excursion into the cuisine of Brittany and I’d like it even more if the light were dimmed a little and the service staff a bit more alert. With pizza being so popular, everyone wants to know where the best pizzeria in town is. 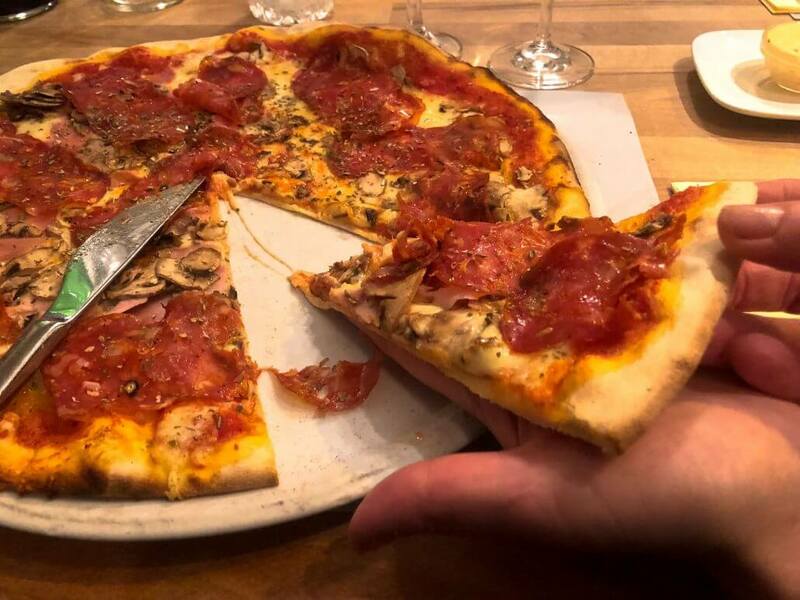 In Cologne, new, hip eateries serving pizza baked in ovens set to a precise temperature, topped with organic mozzarella and accompanied by a range of craft beers, compete with pizza bakers from Italy who‘ve been practising their craft for years for the “best pizza in town” title. This article isn’t about that though. But I do know where you can get what’s probably the largest pizza in the city. It’s served at Toscanini, comes from a brick oven and I like it best when the main topping is Calabrian salami. 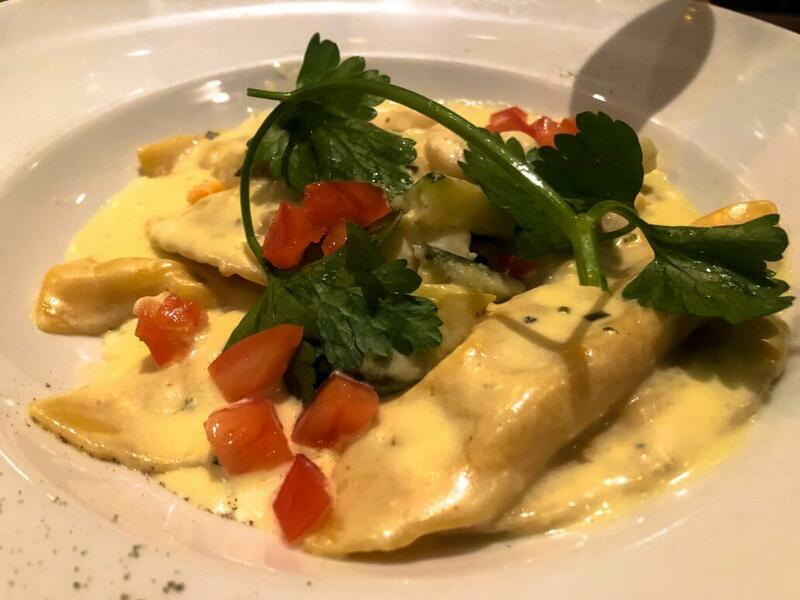 Considering its size, you don’t really need a starter but the vitello tonnato is superb too and the staff don’t mind guests sharing so that’s the thing to do. You pay around 30 euros for a pizza, a starter and half a litre of the house wine – leaving money in your wallet for an espresso each too. I tend to find German takes on Spanish cuisine a bit of a disappointment. Tapeo, however, has always been an exception, right from when it was still located in Cologne’s Lindenthal district. 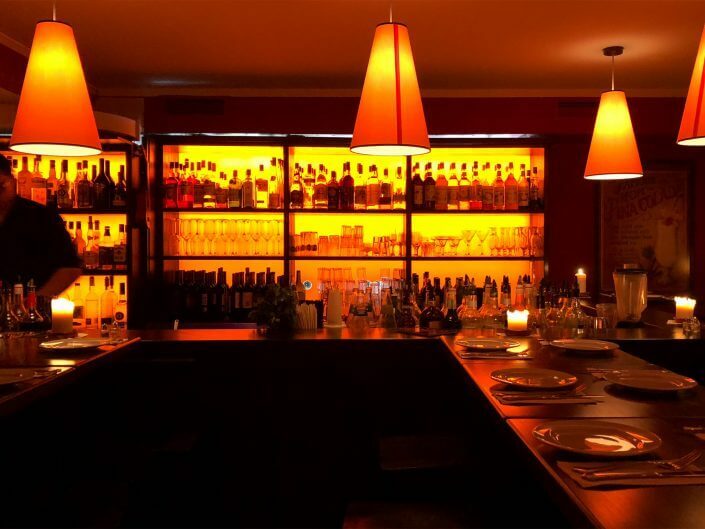 Owners Isabelle and Shahin Tariverdi have since relocated to one of the city’s loveliest squares – Jean-Claude-Letist-Platz on Lindenstraße, where they delight their guests with seasonal tapas dishes. The choice is largely different to what you find on Spanish menus, which always seem to be set in stone. The braised beef in a rioja and onion sauce, scalloped kale with chorizo and vegetarian aubergine lasagne make a welcome change. There’s also a constant flow of reinterpretations of Spain’s national drink, sangria, for example in the form of “Negra”, with a dash of Palo de Mallorca, or the non-alcoholic “Zero”. 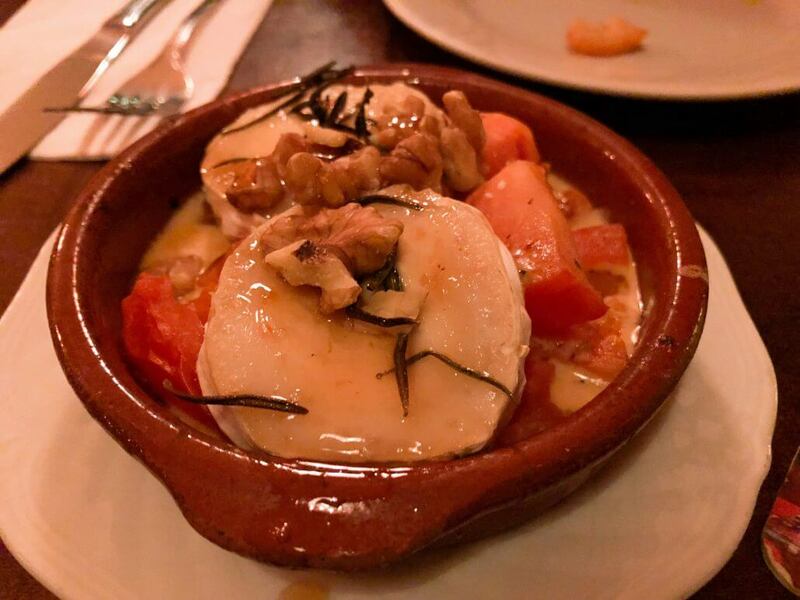 Three tapas priced at around five euros each is more than enough to fill you up so it’s no wonder that getting a table is no easy feat – even on a weekday! This favourite of mine can’t really compete because some of its dishes would bust the budget. 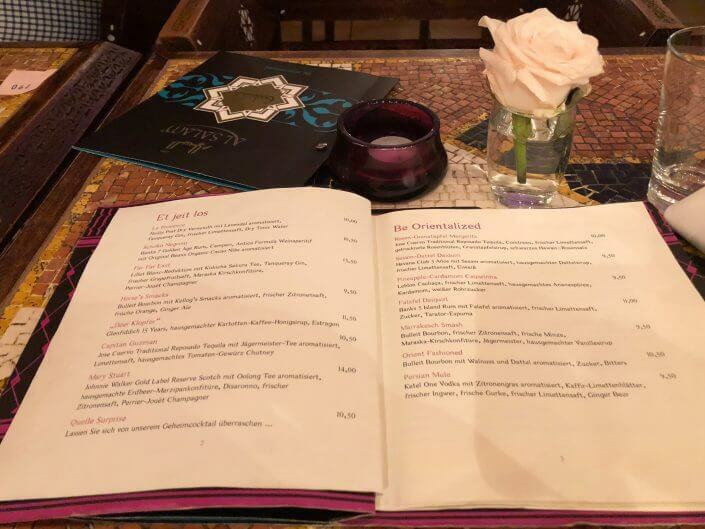 But my preferred choice on the menu costs exactly 12 euros – the Palestinian rice casserole with vegetables. Not only is it seasoned to perfection, it’s also extremely nutritious. 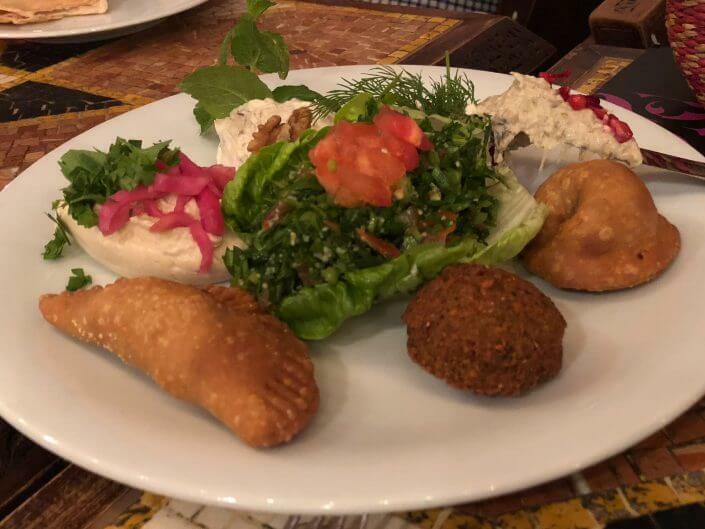 Nonetheless, I like to order the seven-mezze platter to start with, which is plenty for two or three to share. Falafel, dips and small salads. Delicious! But this restaurant on Hohenstaufenring is a treat in lots of other ways too. The staff are obliging, the drinks divine and the interior is like something from “A thousand and one nights”. A true example of Arabian hospitality.